On occasion of the Armed Forces of Serbia Day, an exhibition „Military Regulations of Principlaity and Kingdom of Serbia“ was opened on April 20. In presence of guest from Ministry of Defence, associate museums, cultural and sciefintic life, exhibition was opened by state secretary Zoran Jeftić. 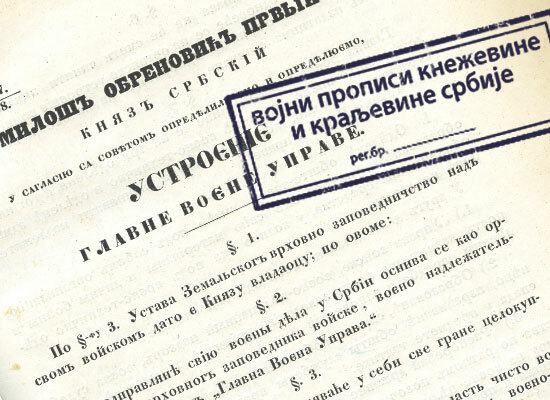 Exhibition presents collection of regulations from 19th and 20th century that are of great significance to development of Serbian Army and that have set base for its structure and oepratibility. On that base, serbian Army has led wars for liberation.